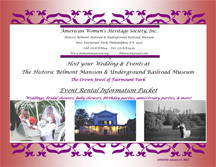 Note: This room may be used for small events like baby or bridal showers—space not appropriate for dancing. As a member organization, your organization may host meetings in accordance to the membership level. Meetings can be hosted by the membership organization. Package 1: AWHS Organization Membership Annual Fee: $1,000; ten (10) meetings between September 1 and June 30 of the membership year. Package 2: AWHS Organization Membership Annual Fee: $600; six (6) meetings between September 1 and June 30 of the membership year. 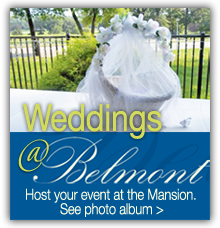 All rentals of tables, chairs, umbrellas must be provided through the Belmont Mansion. No outside rentals permitted. 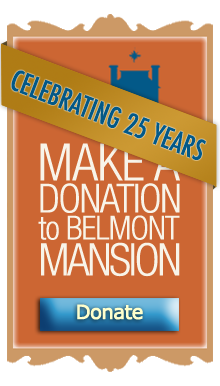 Final payment is due 15 days prior to event. *Deposits are required to reserve your date. 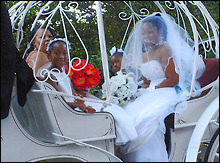 Wedding party enjoys a ride in a horse–drawn carriage.